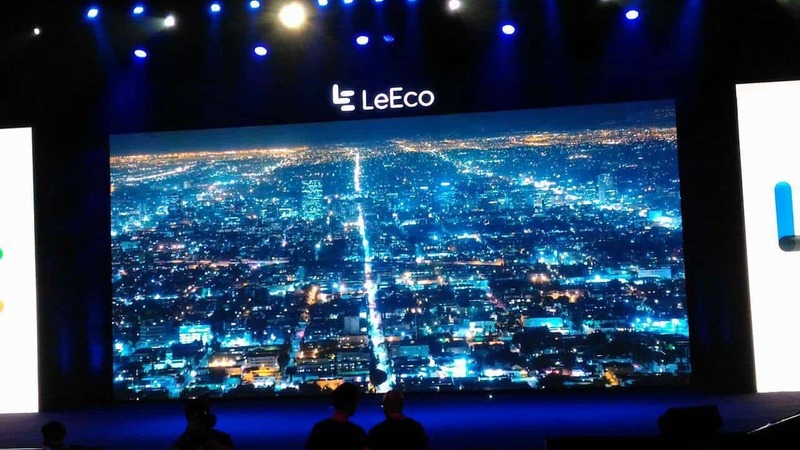 Chinese giant LeEco unveiled its flagship phone Le Max 2 in a grand event “#2Future” at New Delhi today and sent out the invites. 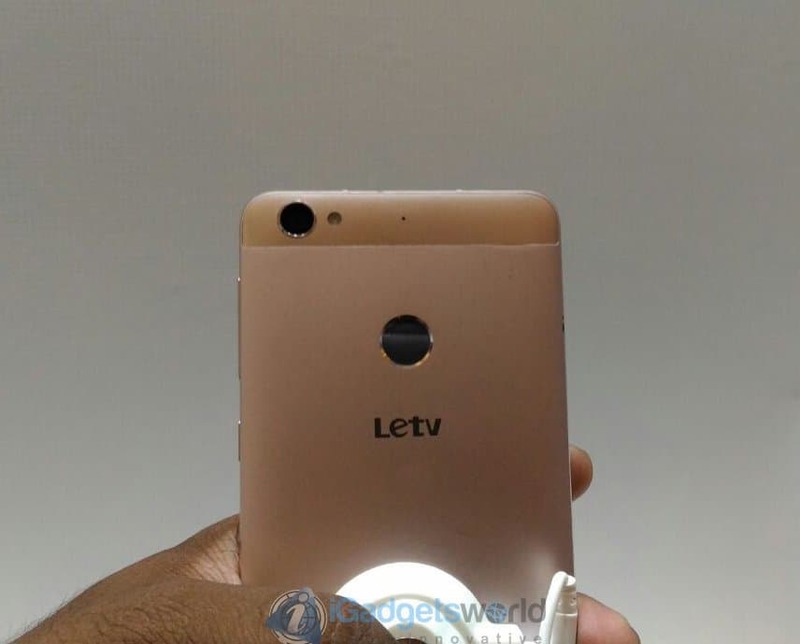 Along with LeEco Le Max 2, Le 2 was also unveiled with a lot of “First’s”. 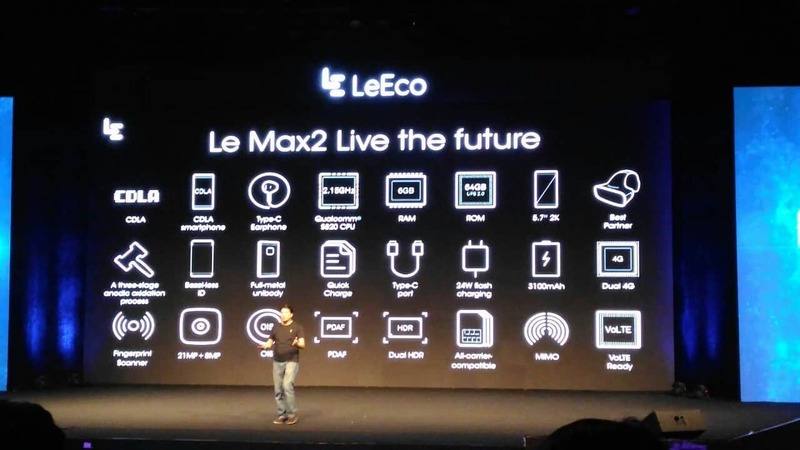 The successor of the Le Max, Le Max 2 is a flagship phone priced at Rs 22,999. Le Max 2 is packed with the immaculately fast 64-bit quad-core Snapdragon 820 processor with an Adreno 530 GPU and comes with options for 4GB RAM /32GB storage and 6GB RAM/64GB storage. The Le Max 2 runs on Emotion UI 5.6.0 based on Android 6.0 (Marshmallow). It is loaded with a 3100mAh battery with dual fast charging system which combines LeEco’s technology with Qualcomm’s Quick charge 2.0. The phone would effectively provide around 3.5 hours battery life with a 5-minute plug-in! The display has got a huge upgrade with Le Max 2 sporting a 5.7-inch QHD Super-retina display, with PPI of 525 Pixels per inch. It will come in 3 color variants – Gold, silver and gray. 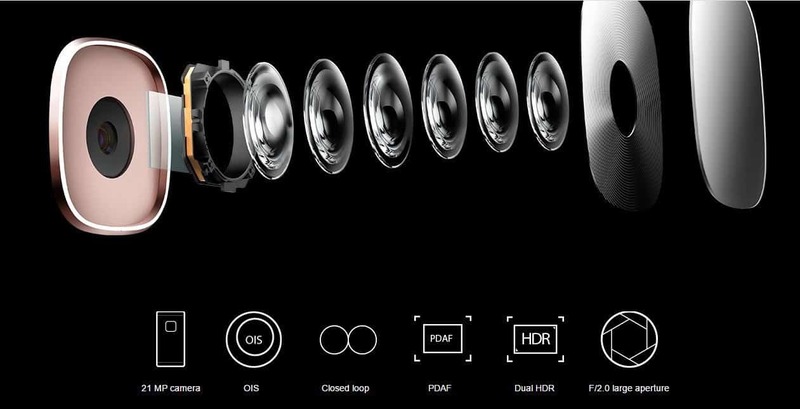 The hottest news of the evening is that LeEco has taken a bold move in ditching the good old 3.5mm audio jack and offer earphones with Type-C ports with the phone, making it the world’s first phone to have a Type-C Earphone with CDLA (Continuous Digital Lossless Audio) standard. The CDLA Type C earphone priced at Rs. 1999 will deliver lossless high quality and uncompressed audio even with live streaming. Another interesting ‘world’s first’ feature in the phone is the ultrasonic fingerprint sensor which uses Qualcomm’s Snapdragon Sense ID which lets it accurately read fingerprints even with sweat, grease or dust. 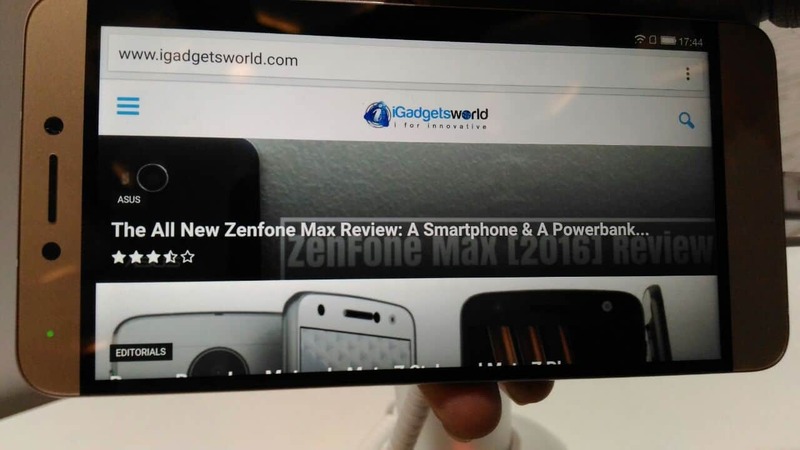 The fingerprint sensor is present at the rear side of the phone. As far the camera is concerned, the phone is loaded with a spectacular 21MP rear camera, f/2.0 aperture with Phase Detection Auto Focus and Dual tone Dual LED flash. The front snapper is 8MP which can record 1080p videos. The phone supports 4G LTE in addition to VoLTE support. It has a regular single SIM option (GSM) with other connectivity options including Wi-FI, GPS, and Bluetooth. In addition to the fingerprint sensor, it also has a proximity sensor, ambient light sensor, and accelerometer. The phone also comes with a premium 1-year LeEco membership which would include LeMusic, Le Drive, Le Vidi and Le Live. The membership which will then be priced at Rs. 4900/year will give users exclusive access to 5TB LeEco storage, over 2000 movies, 3.5 million songs, after-sales support, promotions, and discounts. 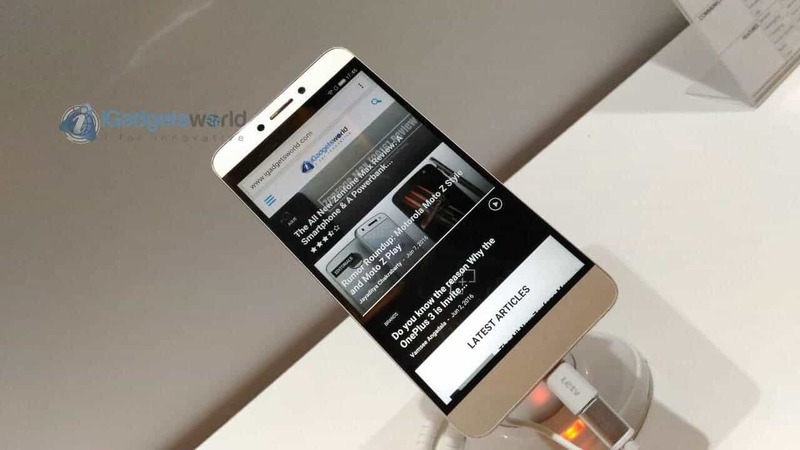 LeEco also announced the launch of its e-commerce site, LeMall in India and the phone is to go on sale on June 28th on Flipkart and LeMall all. 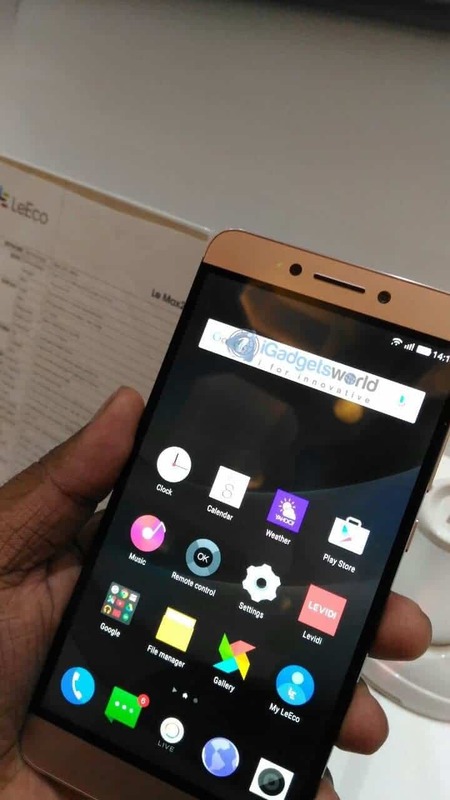 With the pricing and the specs, the LeEco Le Max 2 has made a mark for itself in the competition with Mi5 and upcoming HYPED flagship OnePlus 3. 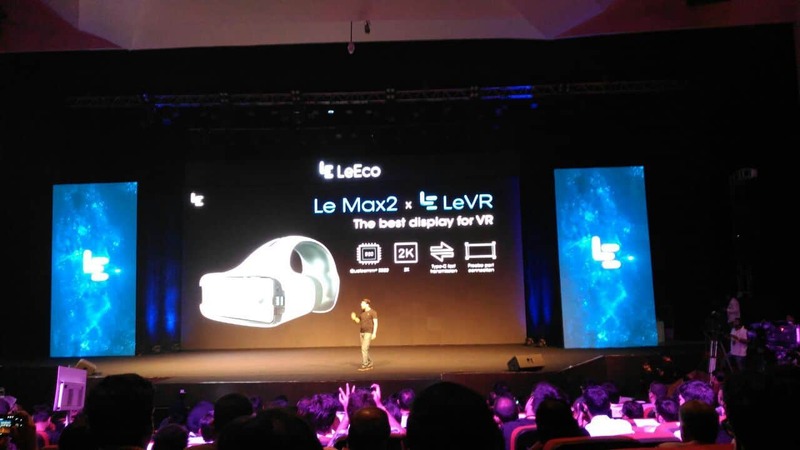 The registrations for Le Max 2 will begin from June 25th. Also, check out some pics from the launch event! !